Banana shampoo…whatttttttt? I know, I thought the same thing before I gave it a go. And oh my, were my expectations soon shut down. 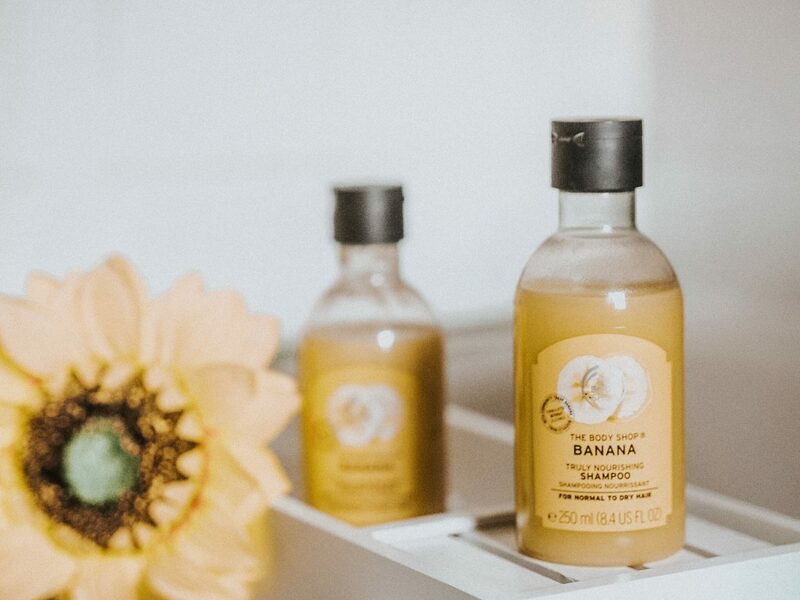 If you are intrigued to find out more about The Body Shop Banana Shampoo and Conditioner range then read on…. For some reason, since I’ve been using The Body Shop Banana Shampoo and Conditioner I feel like I’m reliving my youth. It really brings back those childhood memories. 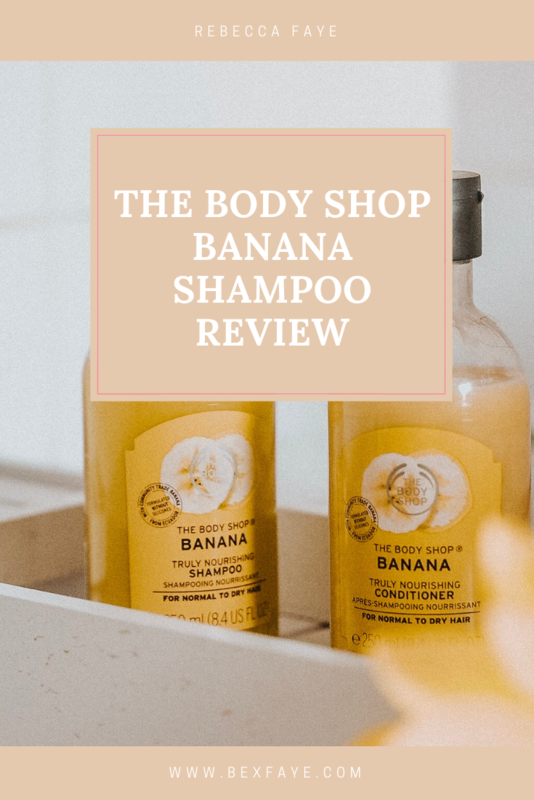 I must have had banana shampoo of some sort when I was a child because the smell definitely gave me a sense of nostalgia – and I’m not gunna lie, I really liked it! Okay, so the shampoo I got came in a 250 ml plastic bottle with a flip lid where you can simply squeeze the product out. No time for wasting shampoo with those messy open bottle tops! There are other options for sizes, you can pick this up in a 60ml and a 400ml so there’s quite the range. The thing I love about this brand and is that it is 100% against animal cruelty, so none of their products are tested on animals! (big up) and they use a lot of raw, pure ingredients. This shampoo is organic and contains real banana puree from Ecuador and it is also formulated without silicones. The shampoo is for normal – dry hair but leaves your hair feeling and looking nourished after use. I absolutely love it! Honestly, no only does it smell insane, it’s also very good for your hair so I’m definitely going to keep on using this! The shampoo in this size is £6.50 and you can pick it up from your local Body Shop store, or online. 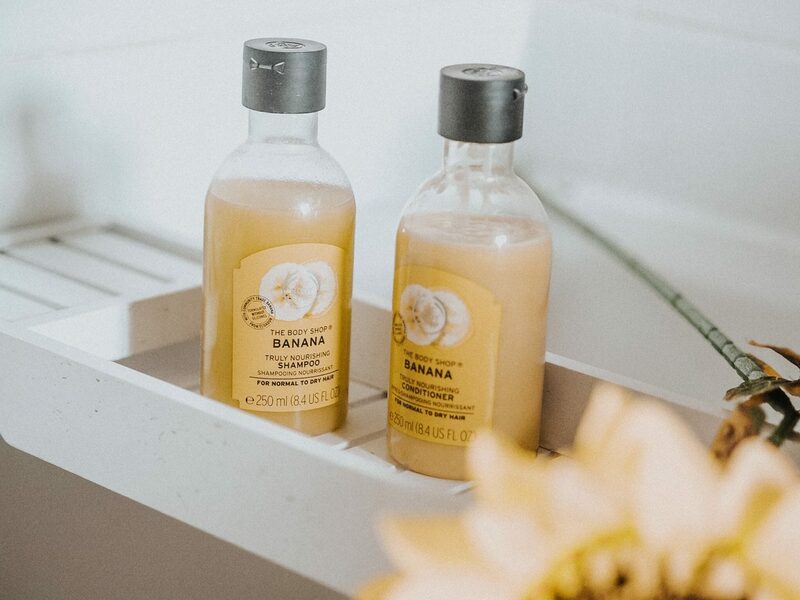 So very similar to the shampoo the banana conditioner the 250ml is also £6.50 but I think the conditioner only comes in this size as I can’t see any other sizes online for you to choose (I may be wrong). So this is called a truly nourishing conditioner and is also enriched with banana puree from Ecuador and it 100% vegetarian. This smells just as good as the shampoo, if not exactly the same to be honest and I found it really made a difference when brushing my hair after as there are hardly any knots! (yippee). Overall, I really rate this shampoo and conditioner and would highly recommend you giving this a go! I know there is also a banana hair mask which I might have to try soon just to add to the collection as I’m sure that’s just as good. This sounds so beaut!! I want to try it just for the scent!